Take Command is a comprehensive interactive GUI and Windows command line toolkit that makes your Windows command prompts easier to use and far more powerful. Take Command includes optional Explorer-style integration, tabbed console windows, major enhancements to standard Windows CMD commands such as COPY, DEL, and MOVE, and adds 160+ new commands, vastly improved command line editing and tab filename completion, and thousands of other features. In addition, Take Command is a powerful batch file programming tool, offering extensions such as DO loops, SWITCH statements, error and exception handling, an integrated IDE with a sophisticated editor and batch debugger, third-party plugins, and more than 550 built-in variables and functions. re you frustrated with the limitations of the CMD command line and batch scripting? Do you yearn for a real scripting language, and an integrated IDE and batch debugger? How about a Windows command processor that can do all of that, and still run your existing CMD prompt commands and batch files? Take Command is our flagship product. For 25 years, JP Software has been helping programmers, system administrators, technical support professionals, and advanced users save time and money, and cure their Windows command prompt frustrations. Take Command offers a new approach to working in Windows, bringing users the power of the command line and the ease of use of the Windows GUI. Take Command includes a complete CMD replacement command shell that provides you with a vastly better Windows command line UI, and thousands of features that are not available in CMD command prompt commands (or even in those vaunted Linux shells). You can run multiple command prompts and GUI applications simultaneously in tabbed windows, including our own Take Command Console (TCC), CMD, bash and PowerShell. 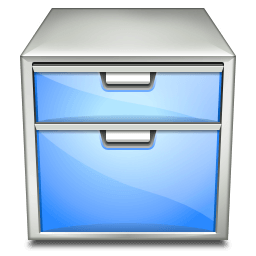 The integrated file explorer allows you to examine directories and drag and drop files to the tabbed command prompt windows. The programmable tabbed toolbar lets you create up to 20 tabs with up to 50 toolbar buttons on each. Toolbar buttons can start new tabs or windows, or send commands or text to existing tabs. The TCC scripting language is a massive superset of the CMD command prompt commands, with 194 internal commands, 337 internal functions, and 248 system variables. Almost all of the CMD command prompt commands (e.g. DIR, COPY, DEL, DIR, START, etc.) are enhanced with hundreds of additional options, and TCC adds more than 150 new commands. Take Command can usually do in one or two lines what requires dozens of lines in Windows CMD commands (if it can do it at all). Most interactive commands (such as COPY, DIR, DEL, MOVE, etc.) have command dialogs that allow you to select filenames and options and see your command line before executing it. The most powerful Windows command processor is also the easiest to use! Take Command includes the best text and binary file viewer available for Windows, including bidirectional scrolling, hex listings, fixed and floating rulers, grid lines, extensive searching and printing features, and much more. Create and debug your batch scripts with the integrated graphical IDE. The IDE includes tabbed edit windows and a sophisticated debugger with single stepping, breakpoints, syntax coloring, tooltips, bookmarks, tabbed variable and watch windows. Windows batch file programming has never been easier or more powerful! Browse command line and directory history, filename and directory completion, and use numerous cut and paste options (even with Windows command line applications that have no internal cut and paste support) with the advanced line editor. The optional command prompt input window (with full undo/redo) allows you to create and edit commands before sending them to the active tabbed command line windows. Send keystrokes to tabbed windows, command prompt windows, or GUI windows . Take Command includes internal compression and extraction commands and variables for GZIP, TAR, ZIP, and 7ZIP files. Easily query the WMI (Windows Management Interface) to retrieve system configuration information. Expand your scripts with the internal support for Perl, Ruby, REXX, Python, Tcl/tk, and any Active Scripting language. You can even combine multiple languages in your batch scripts. And many thousands more -- see our online help for all the details.